How Do You Feel About Blogger Chain Awards? I’ve been trying to ignore this for quite some time, but now it’s getting awkward. 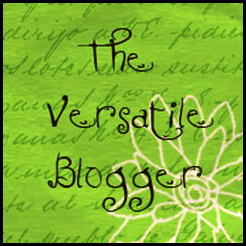 It’s time for me to address the infamous “Versatile Blogger Award”. I’ve been avoiding this moment mostly because I’ve been trying to figure out how I feel about this whole “give each other awards all willy-nilly”. Don’t get me wrong: I’m totally flattered to have any award whatsoever. Someone could send me an envelope in the mail with nothing but glitter inside and a note that says “I think you’re special” and I’d still be 100% grateful. Mostly because it’s an excuse to use my super awesome new Dyson vacuum, but also because it’s totally awesome for anyone to bestow upon anyone else a token of their adoration no matter how small. Or how few regulations there are on it. But at the same time, I’m a woman who appreciates process and efficiency. And it seems a little, I don’t know – excessive? Let’s discuss the ground rules here, as determined by whomever decided to fashion this super groovy square of pixels and see if it caught on like chain mail. Which, it did. Well done, creator of the Versatile Blogger Award. How it works (for the non-blog readers, as I’m sure 90% of my blogging fan base have received this wildfire award at some point, given the rate at which it spreads) is that someone “nominates” someone else and notifies them on their blog. In order for that person to accept it, they have to list 7 things about themselves, and then pass it on to 15 other bloggers. Did you hear that? 15 other bloggers. I don’t even read 15 blogs. I don’t. I have a few well-managed subscriptions and that’s where it ends. 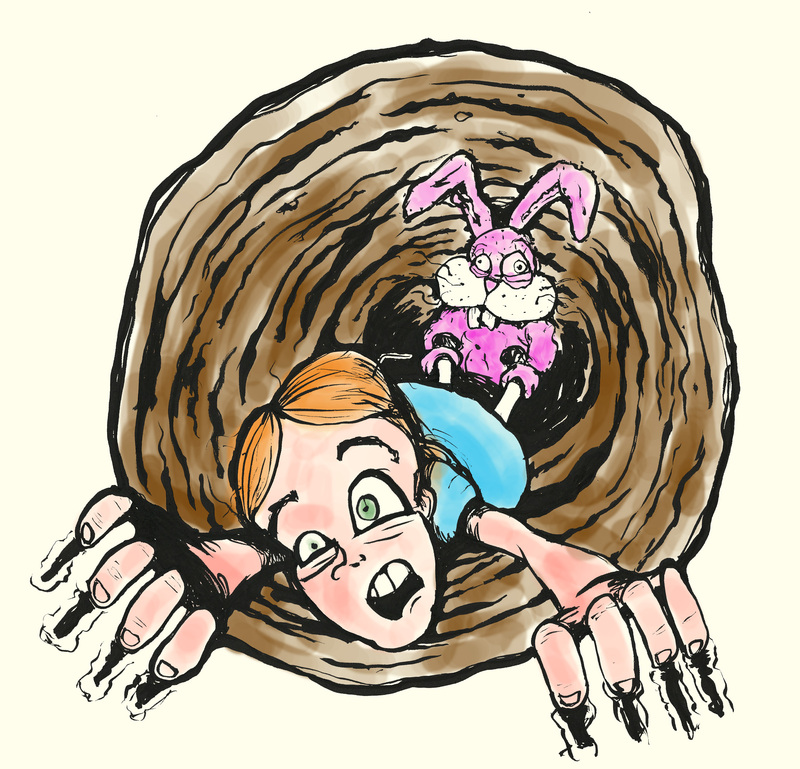 I couldn’t possibly recommend 15 blogs because of all the pressure. Plus, since the passing on of this award is purely subjective, I could nominate a bunch of crap blogs and it wouldn’t matter if they were crap because they’ll just write 7 things about themselves, and pass on the poo pile to 15 other people. And I get the idea that it’s supposed to drive traffic for people, but I don’t think that folks are really going to click on 15 links. They might click on one or two if that’s all that were suggested, but 15 just makes them skip over all of them. Do you see what kind of monster we’ve created here? The beauty in this award is that you can’t actually “accept” it unless you pass it along. And you kind of feel like a big fat jerk not at least mentioning that you’ve received it, even if you don’t really want to take part in passing along a jpg file that has absolutely no regulations whatsoever on the kind of person/writing/website that it ends up on. I’m not exactly offering up the idea of a committee or voting system – those awards exist and I assume the folks who get them are bathing in blogger fame and fortune. Or maybe they’re just stoked to put another picture in their sidebar along their Versatile Blogger Award. I don’t know. Anyway, I’ve been blessed by this lovely and apparently controversial-for-me award by no less than four different bloggers. Four. Think about that. Isn’t that crazy? Shouldn’t there be some system that we can avoid the same person being given more than one of these? I suppose that system would be to display it on my site, but then I’d be buckling under the pressure, and that’s exactly how chain mail lives on, my friends. Nonetheless, I’m grateful for this jpg the way I’d be grateful for an envelope of glitter: 100%. And because these super fantastic folks took time out of their day to bestow it upon me (and in some cases share a few words of kindness about my corner of the Internet), I’d be pleased as pie if you’d pay them a visit. Because I’m not going to pass this award on to 15 people, most of whom will be willy-nilly. But I can recommend the below blogs because I subscribe to at least one of them. I won’t tell you which one. It will be part of the fun. So a very sincere thanks to those below and to everyone else who is reading: consider giving these folks some clicky love and figuring out which one/s I subscribe to. by Phrogmom. I appreciate the idea of this award a little more (I appreciate being given them both the same – I’m referring to appreciating the existence of the award more) because it has rules. It’s intended to be given to someone with less than 200 followers but whom the giver believes should have more. It also only asks that you pass it along to 5 people, which is far more reasonable that 15. Phrogmom stated when she gave this to me that she didn’t know if I met the requirements, and to be honest I don’t and so I don’t think I’m allowed to legally accept it. I don’t know how that works. Can we call Liebster? Regardless, I’m flattered as butterfly wings to have so much love and adoration sprinkled down upon this humble blog. And though my desire for process and efficiency is conflicting with my gratefulness, I sure am eager to hear what other bloggers (or even non-bloggers) think about the idea of chain mail awards. I’m not going to take a poll this time. You’ve been great about the polls and I treasure that and promise not to trample my power there. But if you have a thought, please do share it. I adore your thoughts oh-so-very-much. Don’t worry; I won’t let all this fame and glory go to my head and ignore your comments. I agree that chain mail awards are worthless. Anybody who gives one is simply trying to cement their own award, so they can feel deserving. It’s as if someone gave me a first place ribbon for the 50-yard dash when in fact I didn’t even run. The ribbon would not make me feel good about myself because I didn’t earn it. In fact, it would make me more miserable. I admit to feeling conflicted about awards myself. I’m sitting on a tidy little cache of the suckers (not a mountain – more molehillish) and I don’t know what to do with them. I’ve never acknowledged them on my blog, because of all the reasons you mentioned here. But I really appreciate someone deeming me worthy. I just put them away and sometimes, when I’m feeling lonely and unloved, I take out all my blogging award bling, put it on and prance around my living room. You should try that. Just kidding. I know that it is weird. I do not think that it means a lot in the blogging community but it means a lot among peers, if that makes sense. I would be flattered to get any kind of award. I would LOVE to get an award that includes any kind of cash or prizes too….but I am with you….Envelope full of silver sparkly glitter and a note that says “You’re special” would be just as awesome! I love awards too. Who doesn’t like a little surprise appreciation now and again? With that said, this is nothing but chain mail dressed up under a veil of pleasantry. I loathe these. This is like the little red riding hood story, except it’s the wolf under the hood, not little red. i always read your blog and I have always found it interesting and well written so i think that you deserve an award for perseverance, but I have often wondered why you have never left a comment on mine..now I know , because I am not one of those 15 ah!~well se sera sera..whatever will be will be. Once got a Versatile Blogger Award and didn’t know what to do with it so ignored it. Kept seeing it on blogs I liked–but after reading your post, glad I didn’t follow through. Did so on the Liebster award and enjoyed giving it to some bloggers I felt were under appreciated. Tend now to agree with Anita, and usually ignote chain stuff–but I don’t even follow all the Ten Commandments, so I am known to violate all rules now and again. Stay strong and thank you for this post, it clarified things for me. 2) I’m pretty literal, so if it’s about versatility, that blogger had damned well better be versatile. So instead of listing “15 versatile bloggers,” I just toss out the ones I feel are worthy of a read if someone is looking for something new. I’m happy to give people an idea of new blogs to read and I’m always happy to be given those ideas, myself. I’ve picked up a lot of readers from other bloggers giving me the nod. I have it narrowed down to Aprill Brandon and SzaboInSlowMo. FYI: I look forward to Tuesdays to hear what new thing you decided to try this week. Tuesday come a little sooner! I love that you brought this up! I am actually of two minds about this, as I do really, really appreciate any shout-outs from fellow bloggers, and I love calling attention to the ones I think who are deserving. However, 15 shout-outs does quickly pyramid into the entire Blogoverse, and many repeats are made. As long as no one threatens me with bad luck for breaking the chain, though, I guess I won’t complain. I’ll just stack the awards on a shelf somewhere that Wonderbutt can’t chew them up. So you are supposed to tag fifteen people for the versatile blog award… Ah. Well I only tagged five people and I’m okay with that. I liked the awards the first few times I got them because it was like, aw someone thinks I’m special. Then I picked five people who I thought were special (I follow about twenty blogs altogether and only about five really are that special) and passed it on. Then I got it more and it just felt repetitive. There really should be a rule about getting awards more than once. I do think the awards are nice things to pass along, just not more than once. I was just nominated for this serial silliness, but all it has done for me was inspire me to search out the syndicators in the hopes that it would lead me to the originators, though all it’s done is send me in circles of folks blindly accepting, or in this case calmly discussing, the supposed merits of awards unmerited. It could be a fun idea if it wasn’t to be given to 15!?! I’ve come across several bloggers that dug in their heels and gave it to only four or five. More respectable I’d say, but even having to pass that many awards/bloggers along can still make it grow like bamboo, some species of which can grow over more than a meter a day and send out rhizomes that make it hard to ever eradicate once you’ve put it into even semi fertile soil. Personally? I’d rather the person who wanted to give me an award just tell me they liked my blog. I’m not a huge fan of chain letters by email or any other way…. I know feedback is good but isn’t that where the comments button comes into it’s own? A few years ago,I would’ve been stoked to receive that award… Now every blog I know is receiving that award. A few years ago I would’ve been mad and jealous. Now I feel sorry for those poor souls. I would hate to pick 15 blogs. Not only is it a ridiculous number, but if a blogger you vaguely know sees that they weren’t picked and get mad, things get sticky. Scratch that. Someone just gave me the “Liebster” award, which requires me to pick five others. I’ll spare you, Jackie. Five seems like a much more reasonble number. Hey there, you have such an honest opinion about such awards, and everything else, which is why I absolutely adore your blog – tears me away from my own life! Would it be irony if I said I would like to make you a nominee once again? Hahah. It’s because your blog is fantastic and I can relate to so many things despite being a complete stranger. Second, how incredibly flattering of you to take a paragraph for my lil corner of the Interwebz on your little corner of the Interwebz. Thank you so much. Now don’t do it again. I haven’t received a whole pile of awards, but in contemplation of some day being wildly successful I created an Awards Page. I have parked my Versatile Blogger Award file there, and thanked the folks that nominated me. 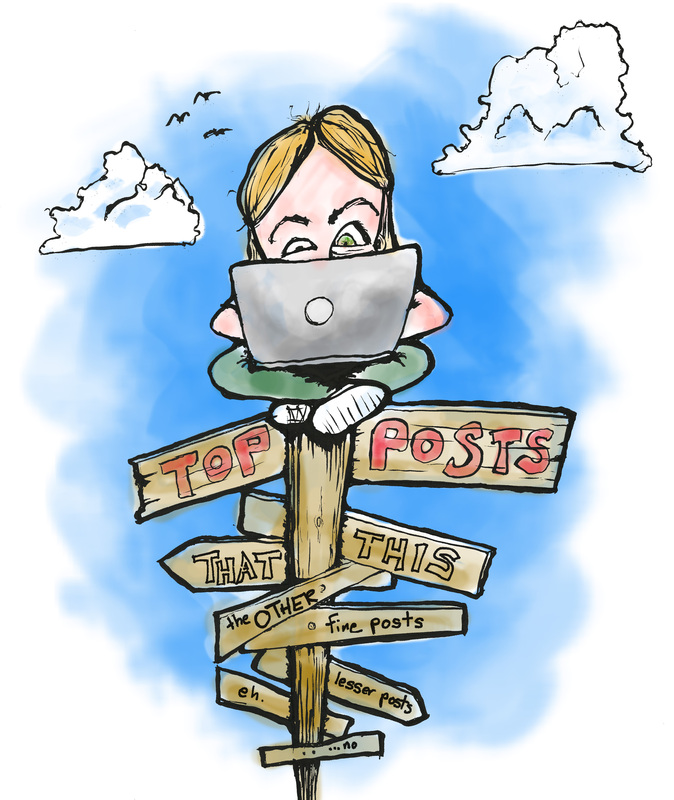 The first time I got nominated, I followed the rules and wrote the appropriate post, then nominated about 5 blogs that I found by looking for cancer and bone marrow transplant survivors. I wrote a post for the Seven Links Challenge too. The way I look at it, the whole thing is a form of networking, and I am willing to play the game once for each different award! That’s a good system. A very good system, actually. I approve! I like how you’ve tackled this. I’ve been very unsure about the whole thing (which is how I found your blog; researching the topic), and although I’ve certainly appreciated the “nominations” (of various descriptions), I’ve definitely felt the pressure to engage. It’s just a bit awkward really, because you want to acknowledge the person being lovely enough to show their appreciation, yet the chain-mail angle is uncomfortable..
I’m obviously weaker than you as I have crumbled and accepted these on a few occasions. It just feels like arrogance not to, and who want’s to be perceived as arrogant? Ouff, well thanks for addressing the issue (I feel better now ha). About the liebster; I did some research on that earlier (and found someone who had done even more research), and apparently the original Liebster was started in Germany and the requirement was for the recipient to have less than 3000 followers, not 200. Not sure when and how that changed, it’s a bit like Chinese whispers in the blogosphere I suppose. Anyways, Thanks again for putting it all out there!